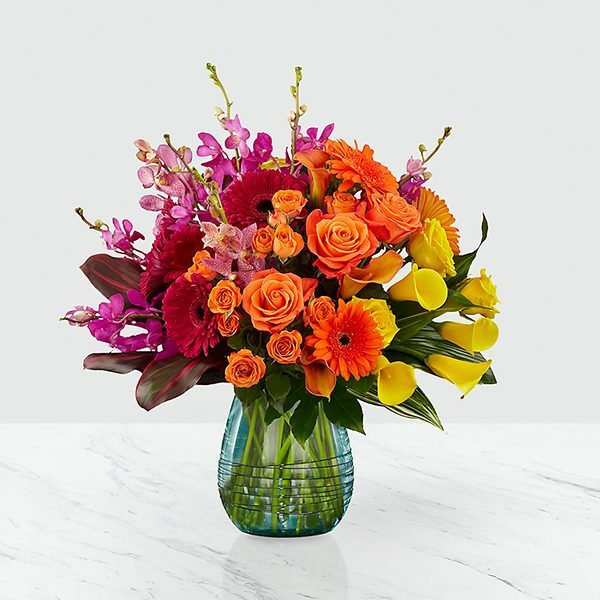 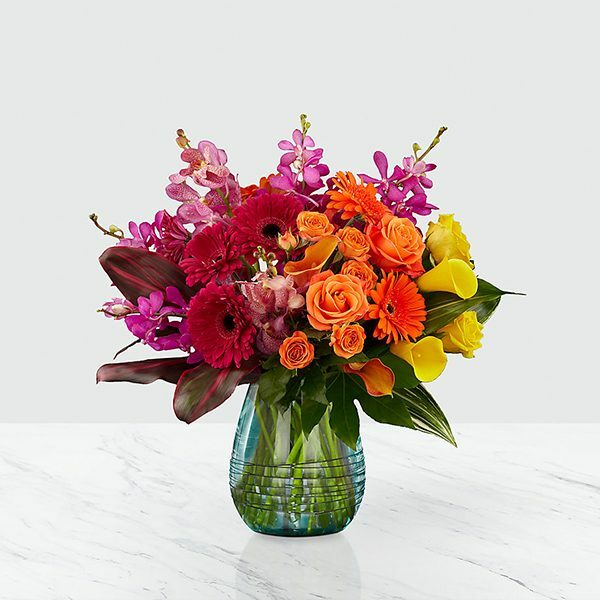 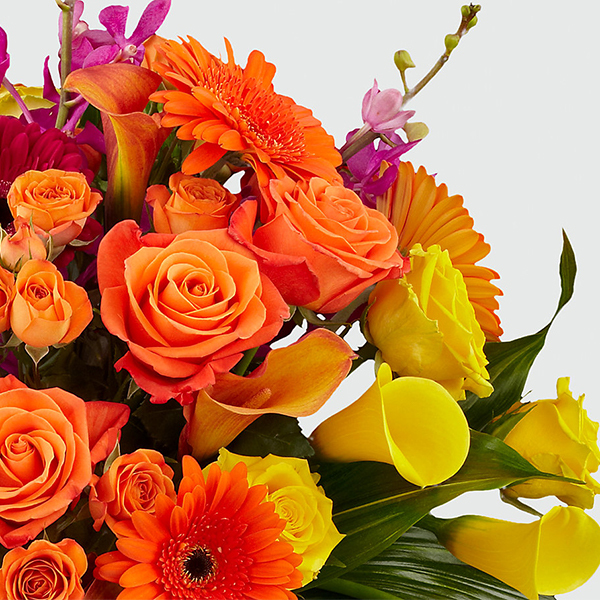 This floral arrangement is a celebration of color and design that brings energy, radiant beauty, and unmatched elegance to your special recipient’s every day. 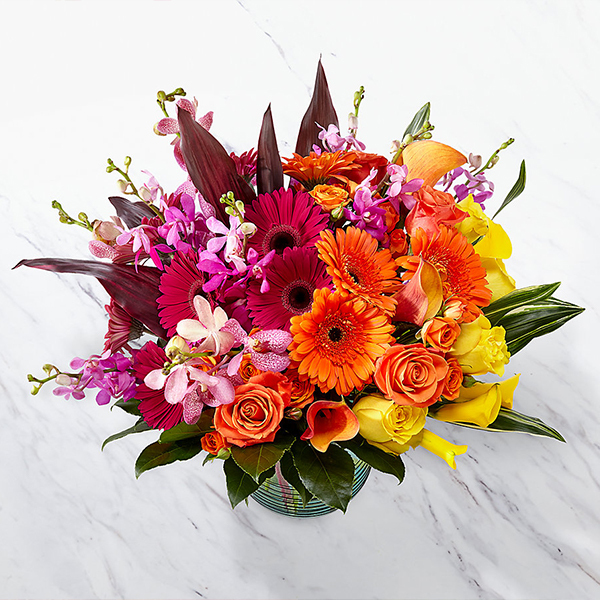 Handcrafted with an expert eye and consciously on trend with an impressive Ombre look and feel. 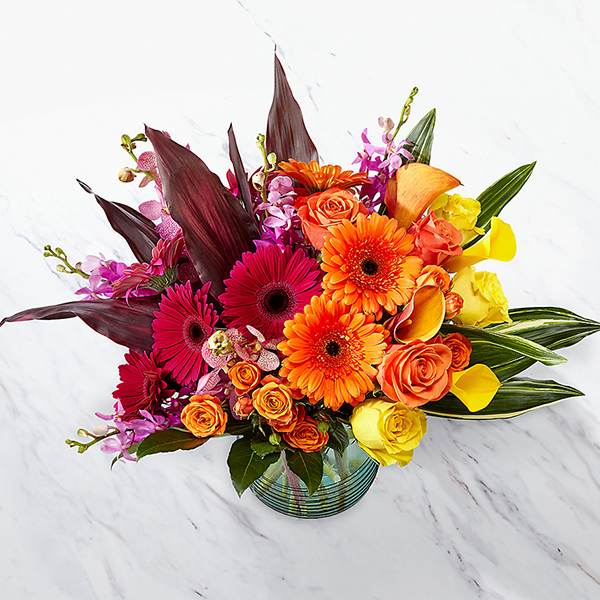 Showcasing a sophisticated transition in colors capturing the eye first with the bright pink mokara orchids, folding into the deep red gerbera daisies, and then melding into the bright orange roses, and vibrant yellow calla lilies, this floral arrangement is meant to express joy with its modern design appeal.